It’s here at long last, the sequel to Hounds of God (and on the same day as the launch of the book 1 Audiobook) – HOUNDS OF LIGHT. Take some magic, add some werewolves and vampires, and you’ve got yourself my new book. BAM! A dark temple of vampires. An army of werewolves. One woman to stand against them all. Katherine thought that by taking on the leader of the Hounds of God, she’d be done with them. She didn’t know that the werewolf influence had spread deep throughout the country, and maybe the world. Hunting down werewolves is one thing, but when a dark vampire comes calling, they find they must seek help. Will Katherine and her new clan of two werewolves and a half-vampire be enough to take on such levels of evil? Ever try to jump start something old? Since Justice is Calling (Reclaiming Honor) launched so well, I figured I’d do the with my Falls of Redemption trilogy – and Jason Rice was awesome enough to set up a group $0.99 promo. It’s been going pretty damn well! Am I losing money? I don’t know, but the book is up to 3,297 and has a few newsletters going out tomorrow and the next day, along with a Bargainbooksy tomorrow, sitting at #6 in Military Fantasy 🙂 So I’m freaken thrilled! LOVE YOU fellow writers and readers. Just gotta keep plugging away — now to see if the extra attention makes a difference/ if it sticks. That’s right, I was on the Self Publishing Roundtable Podcast. Check it out! For all of you readers curious about my military fantasy trilogy FALLS OF REDEMPTION (and it really should be read as the whole trilogy), I’ve decided to offer one week of a $0.99 sale! It’s a big discount, considering it normally goes for $9.99. So if you’re interested, now’s the time to get it! When his brother vanishes, Narcel is next in line to rule his city, but only wants a simple life with the girl he loves. Little does he know, the heavens have greater plans for him. He’s taken from his village and forced to fight for a neighboring clan, but when war breaks out in the land of Braze, he must choose sides between the family he knew as a boy and the brothers in arms he’s formed as a man. Forced to become the warrior he never wanted to be, torn from everything he thought he knew about life, Narcel builds the courage to set things right. But his actions propel him and his lands into an inescapable path toward war and destruction. This omnibus edition contains almost 700 pages of epic military fantasy adventure, political backstabbing, and warfare. It includes Land of Gods, Retribution Calls, and Tears of Devotion. Still not sure and prefer to start with a free sampler? I’m offering ‘episode 1’ along with some other freebies, along with 7 other fantasy authors, over at #Instafreebie. 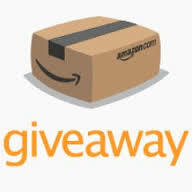 You can find my post about it here, and enter a chance to win a $40 Amazon gift card! 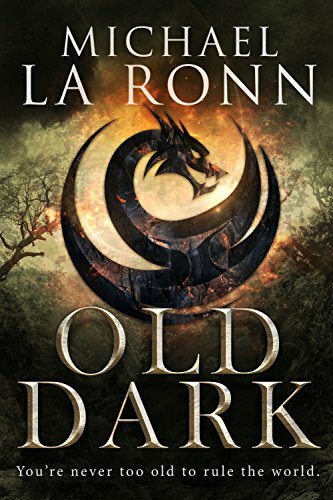 Have you checked out Michael La Ronn’s new novel OLD DARK yet? It’s the first book in The Last Dragon Lord dark fantasy series, and is definitely worth checking out if you like fantasy and dragons. Aside from it being an awesome book, why should my readers care? Because Michael and I have a dark Urban Fantasy book coming soon! A trilogy, actually, so you might as well start getting to know him now – you’ll be hearing a lot more about him! Old Dark is a viperous dragon lord who rules the world with an iron fist. For two hundred years he and his dragons have terrorized humans and elves, forcing them to pay tribute or die. There’s a deadly conspiracy brewing. And if he doesn’t contain it, it will destroy him and everything he’s built. Old Dark is the first book in the dark fantasy series The Last Dragon Lord. Readers who like the Age of Fire series and Smaug from the Lord of the Rings will enjoy this series. Oh, also – we had Michael on the Creative Writing Career podcast a while back, so you can learn more about him there! And he did this interview here. Want to see a review of his book? I could explain all that I love about the story in this book; however, if I was to do that I would give the whole thing away. So what I can say is that the story line kept me wanting more, at times I was in tears, and at other times I was laughing. also I can’t get enough of the Dragons view point, and cannot recall any other Novel that goes into this much detail, “Great Job”. I can also say that the story line reads from several view points, and keeps you hoping…. I mean that in a good way, When I finally had a chance to settle down and set myself to reading the book, I did not want to put it down. It only took me two days to read it, and I love the sneak preview of the next volume… I definitely want the chance to read it as well, and am looking forward to it with anticipation. I would recommend this book and I will be buying the next also. I received the chance to review this book at a discounted cost for my honest opinion. Does anyone out there like Unofficial Minecraft fiction? Since working on Minecraft Story Mode at Telltale Games, I’ve been reading a lot of this stuff to see what kids are into — the books are EVERYWHERE, and supposedly sell quite well. So I thought I’d share this really cool one – the first in a series, that works for lovers of Minecraft AND people who don’t know anything about it. If you’ve been waiting for an awesome fantasy series with amazing book covers, here it is! So much fantasy is based on Europe, so I wanted to do what George RR Martin did with his series based on the Wars of the Roses, but with mine based on Ancient Greek wars between Sparta and Athens. Yes, I made it a fantasy world and fictionalized it, but you’ll see the influence. I took the Martin route regarding magic too. For me, it’s more about the people and character – so book one has HINTS of magic (for the perceptive among you), book 2 a little bit more, and then book 3 (coming late July) comes out swinging with the fantasy aspects. I loved how Game of Thrones did this, but would have loved those books with even less magic — so that’s what I set out to do. Hope you enjoy! You can buy it at the link below, or read most of my books, including this series, free with Kindle Unlimited. PS – the cover you see here is the final one. Amazon takes a few days to update, sometimes. I finally started reading The Sword of Truth series by Terry Goodkind. A few people warned me away from it, saying it goes crazy directions. But I don’t care! I love it so far and I’m sticking with it. It’s hard to find authors you love. For me there’s been a few lately, including George R.R. Martin, Brandon Sanderson, Will Wight, Patrick Rothfuss, and now Terry Goodkind in fantasy. I also have a tendency to enjoy authors of younger fiction, such as Brandon Mull, Shannon Hale, and Maggie Stiefvater. When I “discover” one of these authors, it makes my day. So I’ll keep sharing about their awesome work, and you keep letting me know about others I need to be reading. Thanks! 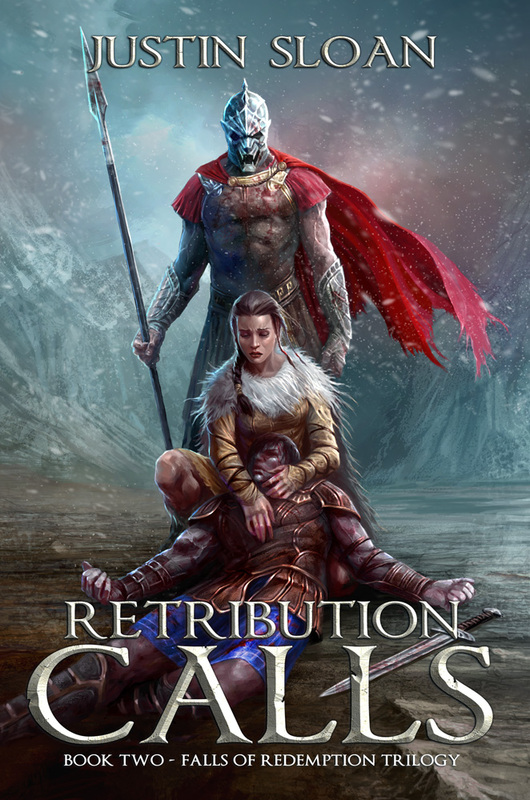 Amazon now allows us authors to do eBook Giveaways, so I’ve decided to give you all 10 copies of Creative Writing Career and 10 copies of Retribution Calls. For this week only, you can get each of them for only $0.99, or enter via the links below for your chance to win your #Free books. Enjoy! Creative Writing Career is the first of my Creative Mentor series, and has been a #1 Best Seller on Amazon’s screenwriting category several times in 2015. It’s full of author advice on how to position yourself for a career as a creative writer, and interviews with writers of movies, video games, comics and books. 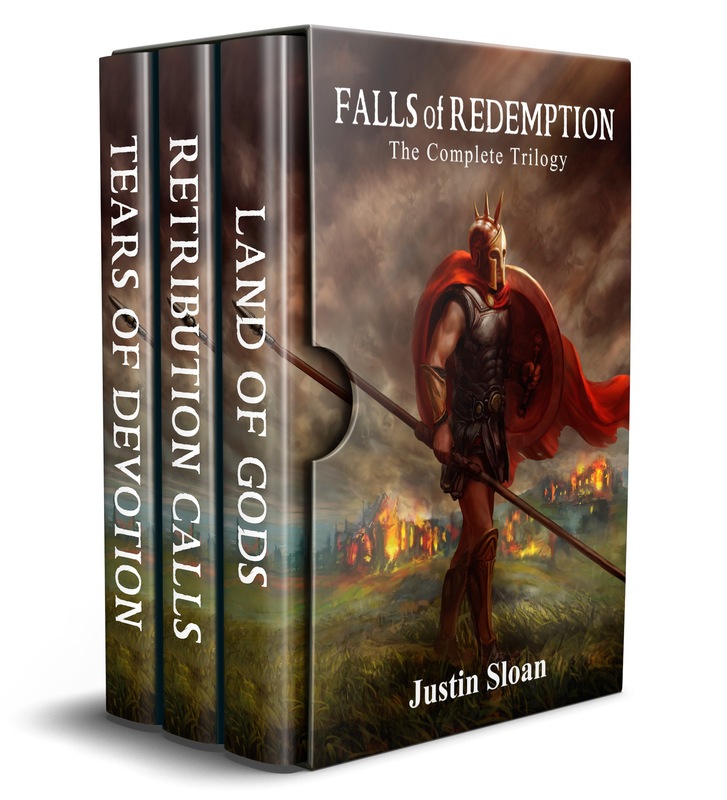 Retribution Calls is my second book in the Falls of Redemption trilogy (book 3 coming soon) and you get book 1 for #Free when you sign up for my author newsletter at www.JustinSloanAuthor.com. This epic fantasy series is about a boy who is forced to fight for a neighboring warrior clan, and the choices he’s faced to make as his land breaks out in war. I love this review for my epic fantasy books Land of Gods and Retribution Calls. “I really enjoyed the first two books. The visual experience I get from the book is sublime. I can imagine how every scene is made into a movie. Justin’s writing style reads easy and is descriptive enough (not overly done, as is sometimes the case in fantasy). The mystical “North” had me mesmerized. I loved the scenery and their way of life. Amaris was a welcome addition and I like how the love triangle unravelled.